Co-chair of the Paul, Weiss antitrust practice, Aidan Synnott focuses on antitrust litigation and compliance, intellectual property (IP) litigation and other complex commercial litigation. He has extensive trial experience in state and federal courts and in ADR forums, and frequently represents clients in antitrust investigations by the US and EU governmental agencies. A fellow of the American Bar Foundation, he has been an associate editor of the Antitrust Law Journal and editorial board member of the American Bar Association’s Annual Review of Antitrust Law Developments. He was co-chair of the New York State Bar Association Section of Commercial and Federal Litigation’s Committee on Antitrust and a member of the Executive Committee of the Section. He has been a guest lecturer and speaker at New York University School of Law, the Wharton School and the University of Michigan Law School, and has published extensively in the areas of antitrust and IP law. He is recognised as a leading lawyer for his work in antitrust by Chambers USA, Legal 500 and The Best Lawyers in America. In addition, Aidan has been included in Who’s Who Legal of Competition Lawyers and Economists by Who’s Who Legal since 2013. 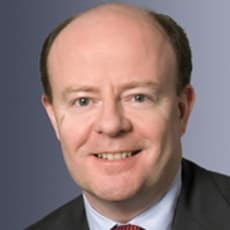 Mr Synnott earned his law degrees from the University of Michigan, the Honorable Society of King’s Inns and the National University of Ireland.